To thrive, 21st century enterprises must master the new context of work and its challenges. A future ready skills ecosystem is critical to maximise its potential. Kalido enables the enterprise to: acquire skills fast, wherever they exist internally or externally; deploy skills flexibly; catalyse productivity increase engagement and advocacy for its brand with top talent. Agile enterprise. Engaged people. With Kalido, you can bring the future on! Larry Fink’s 2018 annual letter to the CEOs of the companies that BlackRock, an asset manager with a staggering USD 6.3 trillion in assets, is emblematic of the context faced by 21st century enterprises. Its strident call for purposeful capitalism is an acknowledgement of powerful underlying forces. Millennials, who are 50% of the US workforce and growing, are voting with their feet and wallets for companies that have purpose. 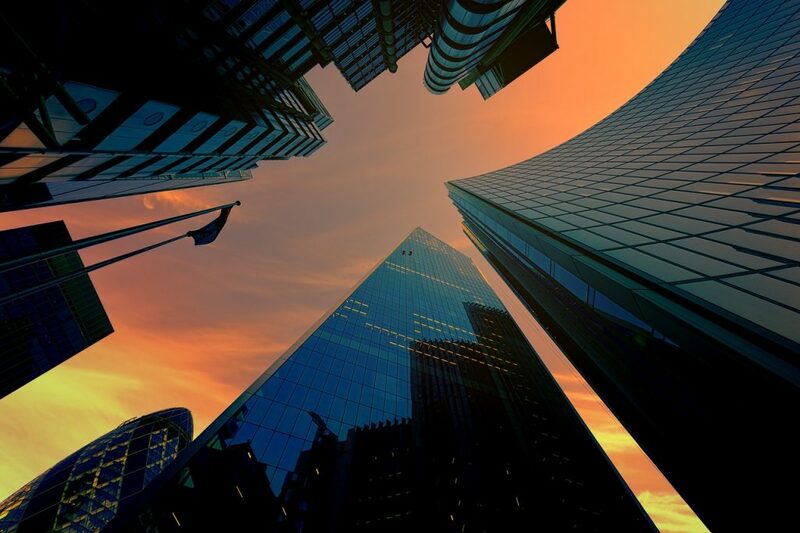 Technology puts enterprises on the front line of: automation with 400-800 million related job losses by 2025; job growth with a steep 55% rise in demand for technology work by 2030; and nimble tech-enabled attackers who have, for example, decimated traditional retail and created a USD 150 billion financial services startup, Ant Financial, seemingly overnight. With 84% of the S&P 500s value made up of intangible assets, enterprises are all about brain not brawn. To Win, 21st century corporations need to change tack. In this context, and more than ever before, a successful and significant enterprise needs to master agility, collaboration with stakeholders, employee engagement, cultural cohesion, and technology. However, this is very challenging. There is a growing bias for independent work, 50% of the US workers are expected to be freelancers by 2030, coupled with a dismally low 15% of employees engaged at work. Enterprises are not trusted by employees to ‘do the right thing’ for displaced workers and already contend with ~20% gap in supply of tech talent. Enterprises need to reimagine how to acquire, retain, develop, excite and exit talent and skills for this new context and new world of work. Is your skills ecosystem ready? Agile ways of working are reshaping how work gets done in enterprises. This is happening in areas well beyond IT. A parallel shift is starting to happen in their skills ecosystem to ensure they can acquire skills fast, wherever they exist, deploy flexibly, enhance productivity and fulfilment and create advocacy among key talent pools. How agile is you skills ecosystem? Do you have a platform where employees can declare their full suite of skills in real time? 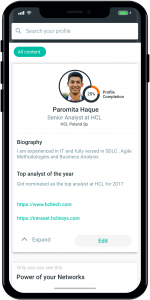 Do you have AI tools to help employees articulate their competencies, that go beyond the CV, intelligently? Can you validate these skills and competencies in a contextually relevant way using internal and external sources? Is everyone in your enterprise able to search these skills and those externally, seamlessly? Do you understand the true breadth of skills and interests in your organisation? 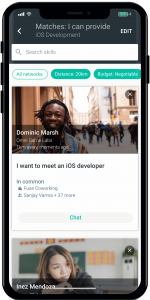 Can you see availability of and tap into skills real time? Can you match skill owners and skill seekers in ways that enhances effectiveness, productivity and mutual fulfillment? How effectively do you integrate employees and increasing numbers of independent workers? New employees? Do you have a validated, ‘external’ bench that you can tap as needed? How effectively are you able to tap into your employees networks and use referrals to acquire hard to find skills? Or even easy to find skills but more cost effectively? What forums do you have for employees to connect on shared purpose, common interests, recommendations, coaching and mentorship? Increase inclusivity? Build friendships? Beyond classic L&D, what opportunities do you create for employees to own their growth and reskilling opportunities within the organisation by contributing their skills? Building networks? Engaging in initiatives? Do you have a compassionate outplacement plan that links redundant employees with real external opportunities? The evidence for the significant hard business benefits resulting from an engaged and connected workforce is incontrovertible. What are you waiting for? 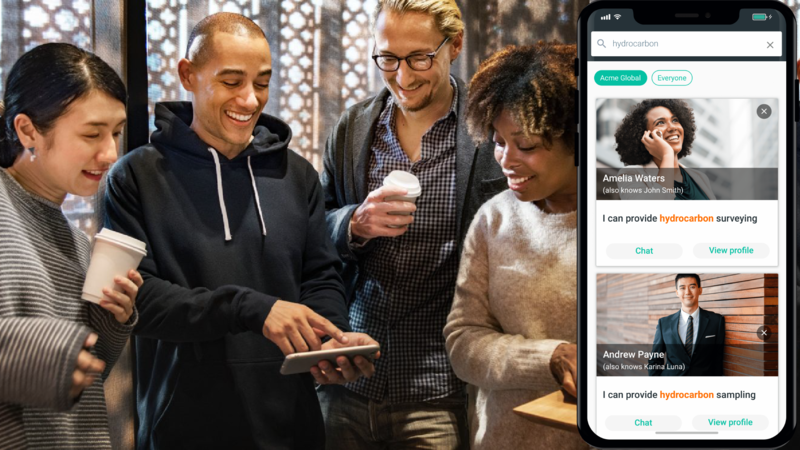 Kalido’s powerful features, working in concert, offer a unique value proposition to enterprises, their employees and independent workers who work with enterprises. 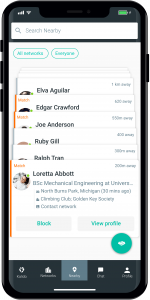 Common contacts: Listed on each profile so you can easily connect with new people through the people you already know. 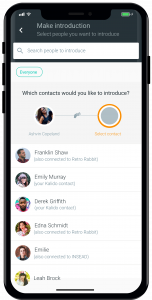 Common contacts and networks let you screen people instantly through in-app chat. Contact us by sending a mail to support@kalido.me, and one of our team will get back to you within 48 working hours.